Looking for somewhere to spend your honeymoon or just for a relaxing getaway? The Shore at Katathani is the perfect choice for you. Choose from a range of villa style accommodation that overlooks the lush green mountains and the stunning Andaman Sea. 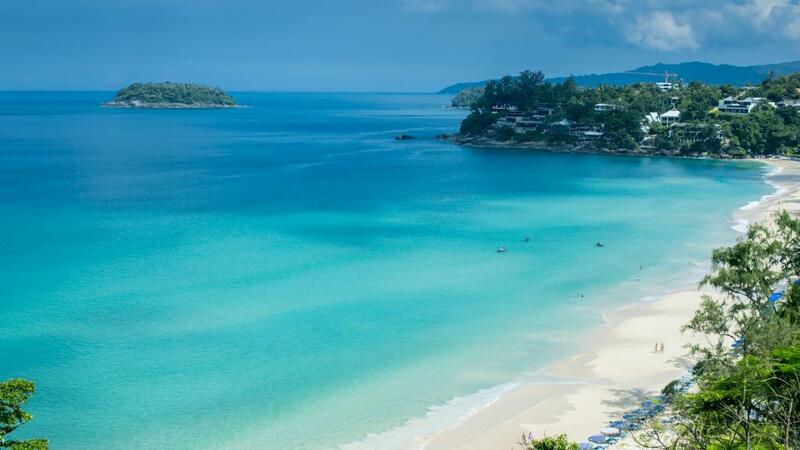 This Phuket accommodation offers a beachside location and is not far from a range of attractions and tourist hotspots. For a luxury filled getaway why not stay at The Shore at Katathani. The Shore at Katathani is a luxury beachfront pool villa resort on Kata Noi Beach in Phuket, Thailand. This Phuket accommodation is perfect for couples as 12 years and under are not accepted at this property. Relax and enjoy your honeymoon or couples retreat, enjoy a massage or two, dine at one of the onsite restaurants that boast organic and locally grown produce or simply relax by your own private pool...what are you waiting for?